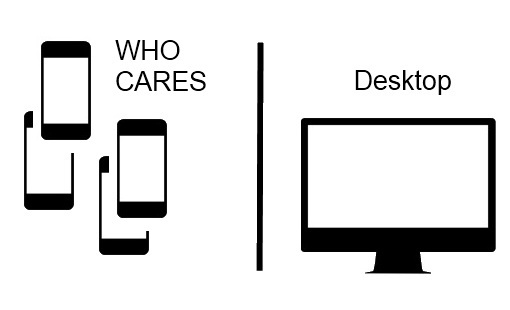 Graceful Degradation, Mobile First, Desktop with Smart phone Apps…. More expensive if mobile applications are added at a later date. You design for the best (desktop) and provider a subset for the rest with less resolution. This is not a good solution as it’s almost impossible to maintain or plan. What features do you supply with what resolution or browser? Responsive design for the mobile devices makes it even more complicated and the testing effort is large for each front-end change. This should be avoided. Can’t use Html5 and css3 as most desktop browsers don’t support this yet. This is a good approach if you front-end is not too complicated. 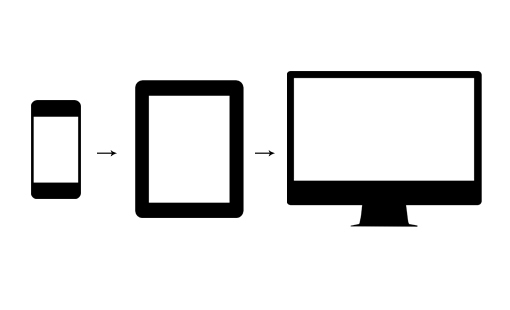 You design for your mobile devices first and then adapt upwards. Most user interfaces are to complicated and this approach forces you to plan a good user experience. A problem is that many desktop browsers still do not support html5 and css3 which are a great help when producing responsive mobile web interfaces and rotational features. 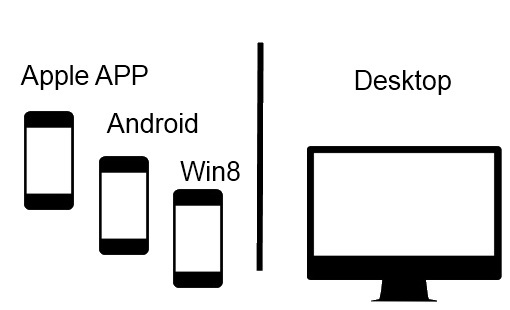 When you use this approach maybe you could decide not to support older desktop browsers. This depends upon you target users. This is my preferred solution. For applications with complex user processes, I believe this solution is best. You can deliver a strong user interface for desktop applications (Keyboard input) and also design a quality mobile GUI with reduced functionality. When designing this solution a common service backend can be used, with separate front-ends. I believe you should not try and support all mobile devices but just Android version 4 or later, iphone4/5 and Windows 8 phones. You can implement these correctly with responsive design (also support rotation) and you application will work well with most of the market. IPads and tablets with touch screen are in-between. The mobile application works well but the classic desktop view could also work well as the display is large enough. Depends on you business requirements. 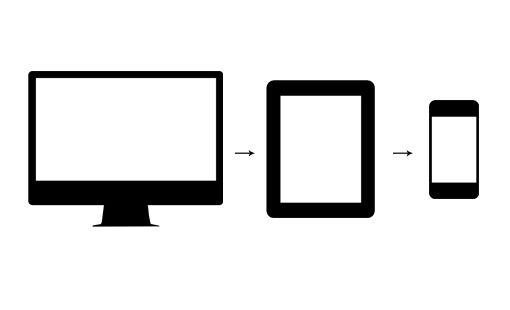 Frameworks optimized for desktop or mobile front-ends can be used as designed. Html5 and css3 can be used for the mobile applications, most destop PCs, don’t support this yet. This is the most expensive version. Requires extra effort in all cycles of the software process. Very few company’s have expertise in all areas required to produce the different applications for each end device. This usually ends up in an outsourcing sub-project which requires extra effort in business engineering and requirement engineering. It has an advantages that mobile hardware functions can be used in the mobile applications. If your developing LOB applications (or enterprise apps), deployment of Win RT and Iphone is also complicated and costs extra. I would recommend that this path is avoided unless extra mobile functionality is required or you need to support just one specific mobile device (Which includes extra hardware functionality…). Each application architecture implemented as designed by parent system. Separate applications for end devices. Web Desktop application not optimized for mobile devices. What about CMS, Intranets, Sharepoint? When you use CMS or third party tools like twitter bootstrap, this usually results in bad mobile user interfaces. The quality is getting better but at present it is still best practice to avoid these when implementing mobile front-ends. If your front-end has no serious requirements in layout and style, frameworks like twitter bootstrap can be used. 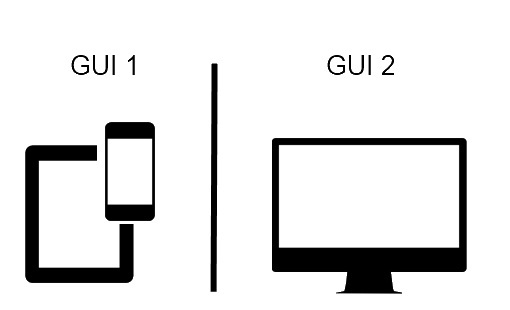 This supports mobile front-ends to a certain extent. What about twitter bootstrap? It supports both mobile and desktop web interfaces. I would recommend that you should use a framework optimized for mobile devices like jQuery and use this alone as recommended for the mobile website. For your desktop UI, twitter bootstrap could be helpful if you have a simple UI. Tools like jQuery UI can be used then for your desktop. Hi, i think that i noticed you visited my site thus i came to return the want?.I’m attempting to find things to improve my site!I guess its adequate to make use of some of your ideas! !